Starting your own business is always exciting but daunting and if you shift from a paid job to do so, it can also be difficult when you don’t have the usual support systems in place. Having started and run my own consultancy for the last few years, I found using technology has greatly eased my working life and also helped me to better understand technology. 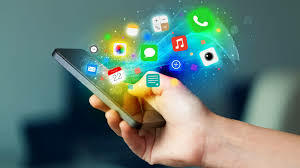 There are apps for virtually everything now and I list some of the tools I use which I find invaluable for my business. This is one of the most useful apps I use and helps synchronise all my working (and other) files on all my devices. It can be used on Macs, iPhone, iPad and Windows PCs’, as I use is on all these. The greatest benefit is that as long as you have access to the internet, you can update and view files from anywhere. Having to visit clients a lot of the time, it makes life much easier and is also easy to share large files with anyone by just sharing a link with them. It’s free as well if you use it up a certain limit, which is increased if you refer friends to use it but the cost for using 100GB is only $99 a year. There is now a Business team product that gives 1000GB, which can be shared with your team. It’s probably my most used app and I love it. Skype has been around for a long time but one of the surprising things I found out some time is that it can be used on the go on a smartphone. Someone calling from overseas managed to get hold of me on Skype whilst I was on a train and I managed to call them back as well – all at no cost! It’s useful for business video calling and is a free tool. I have been using Evernote for some time now and one its great tools is the ability to store scan and store business cards, which can then be recalled by the person’s name or company name. The scanning process uses OCR and uses it to retrieve your cards if you can recall anything on the business card. I find it great when I want to contact someone but may only recall their company. It’s also a great tool to store your paperwork and easily share these. Both these allow you to send text messages and Viber allows you to make free calls if you and the person being called or sent a message has broadband access. I am not a heavy use but I know some of my clients who travel overseas a lot use these especially for messaging using WhatsApp. You can also send media using Whatsapp. There was a lot of issues with Apple Maps when it got updated but I use it a lot of the time now and the handy tool when I visit people is the ability to go directly to their address from Maps itself. Google maps is also good but doesn’t have this facility as yet. For those with Android smartphones, Google Maps is good although I hope they give it the ability to go direct to a contact’s address in future. There are several more apps I use especially for social media but this is a topic in itself so will leave this topic for a future blog.